A comprehensive range of modern architectural aluminium fittings, incorporating state of the art technology and supported by our steady emphasis on service excellence. Here is a showcase of the various architectural aluminum products we manufacture and install for commercial and industrial building projects. Click through for more details on each product. 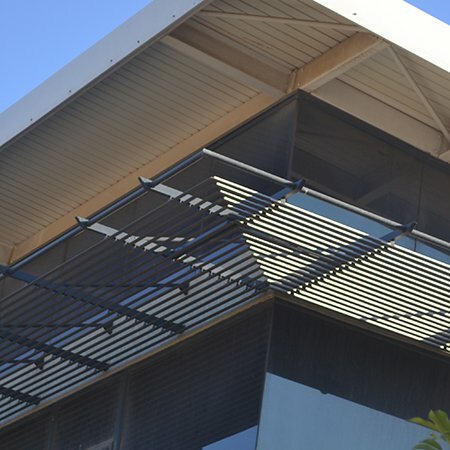 Designed for optimum performance and consistent with Hunter Douglas standards, sun louvres form a highly functional and attractive feature in modern buildings. 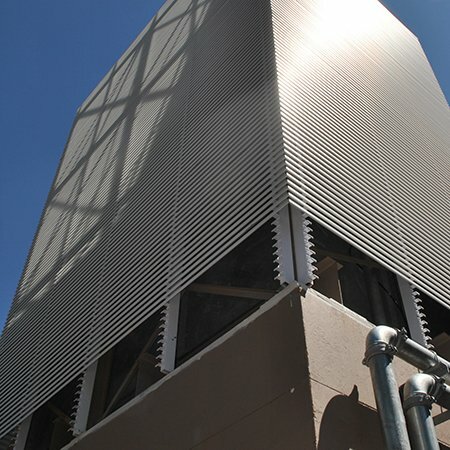 Click through to learn about Aerofins, Panels Systems and Filigree sun screens. Hunter Douglas interior and exterior ceilings add aesthetics, functionality and comfort to your buildings. 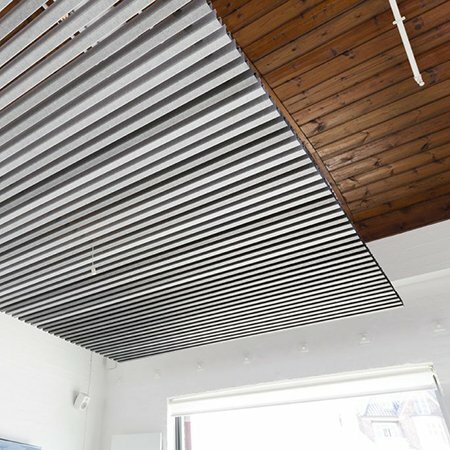 As accredited agents, we offer a full range of ceiling solutions, allowing architects and interior designers to design with a variety of systems, including cell ceilings and linear ceilings. 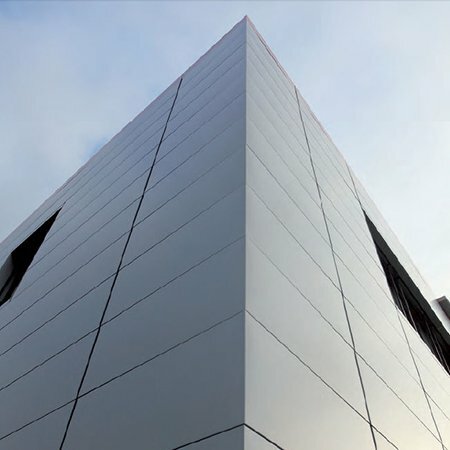 Cladding systems have fast become on of the most popular ways to accentuate the facade of any modern commercial structure. They offer the architect or designer a multitude of design options, whilst delivering on key functional benefits. Modern buildings increasingly incorporate impressive facades, which are big on aesthetics as well as functional benefits. 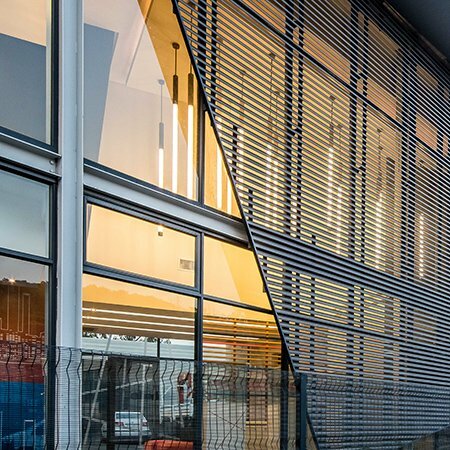 We offer a range of high-performance options, featuring different combinations of fenestration, curtain-walling systems, sun louvres and cladding solutions. 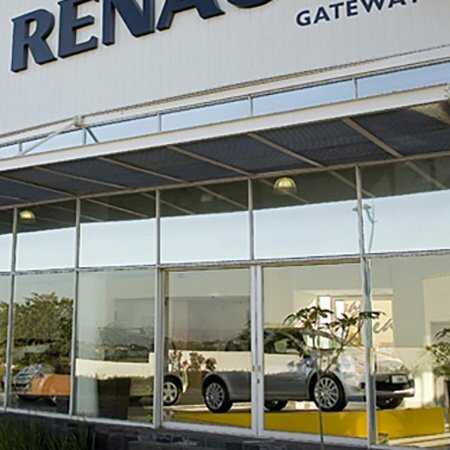 We manufacture and install shopfronts in a wide variety of styles , both internal shopfronts – in malls and office blocks – as well as external shopfronts for banks, shopping centres, showrooms, and independent retail stores. Curtain walling gives a modern and sophisticated look to any building. 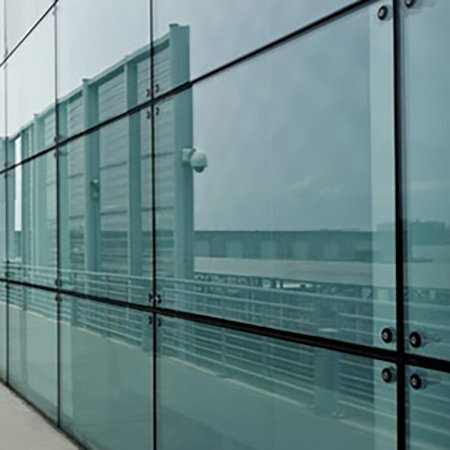 Our robust yet lightweight solutions feature both flush glazing and pressure glazing options, in a range of different industry leading systems. We design and manufacture louvre systems according to your specific requirement, whether this your emphasis is on sun control, ventilation, screening for privacy, purely aesthetics or for a combination of any of these benefits. 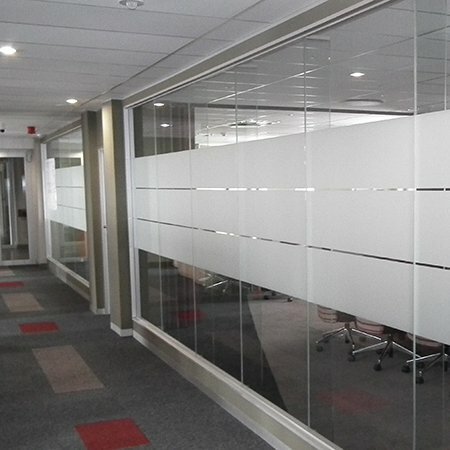 Whether you’re looking to create additional offices, meeting rooms, or create divisions within your offices, glass partitions bring immediate and tangible advantages. Available in both framed and frameless systems. Double glazed windows and doors make your spaces far more energy efficient and comfortable. 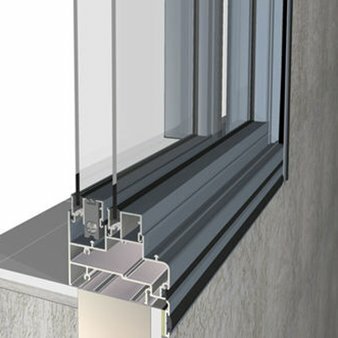 They can be installed in commercial and residential properties, in the form of aluminium windows, doors, shopfronts, curtain walling and other façade solutions.